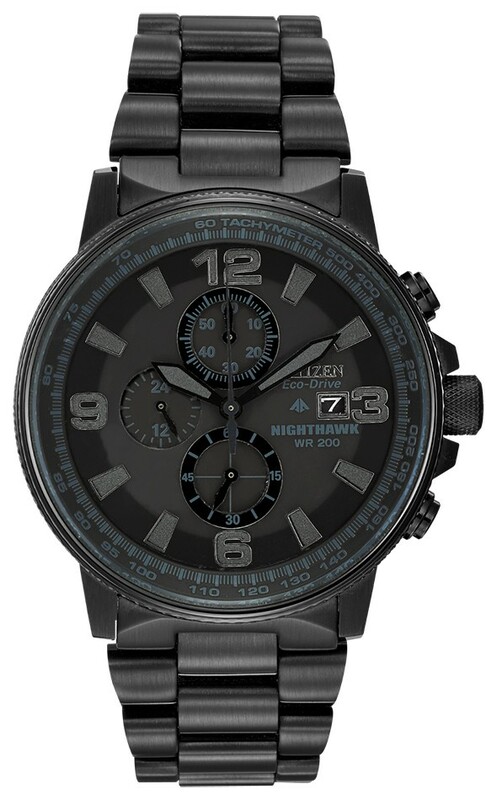 CITIZEN ECO DRIVE NIGHTHAWK, WHICH EXEMPLIFIES THE CURRENT "BLACKOUT" AESTHETIC. 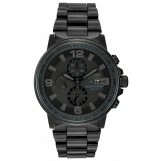 THIS 1/5 SECOND CHRONO MEASURES UP TO 60 MINUTES, WITH 12/24 HOUR TIME & TACHYMETER. 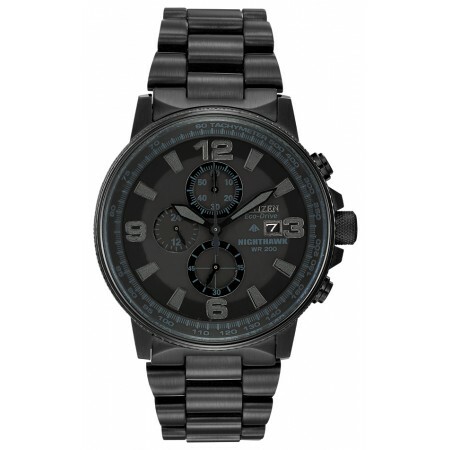 SHOWN IN A 42MM STAINLESS STEEL BLACK ION PLATING WITH SCREW-BACK CASE AND BRACELET WITH SAFETY FOLDOVER CLASP WITH PUSH BUTTON, NIGHTHAWK IS ALSO 200M WR.